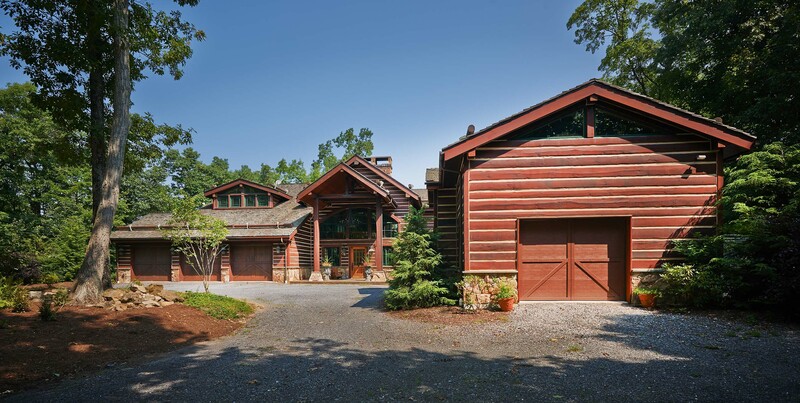 In the heart of Pennsylvania, minutes from the legendary Penn State University, is a one-of-a-kind retreat surrounded by 68 acres of woodlands. Welcome to Quail Hollow, a custom-built, outdoorsman’s paradise, selling at a luxury no reserve absolute auction July 28th, 2016 with Supreme Auctions® in cooperation with Amanda Lott of Keller Williams Realty. 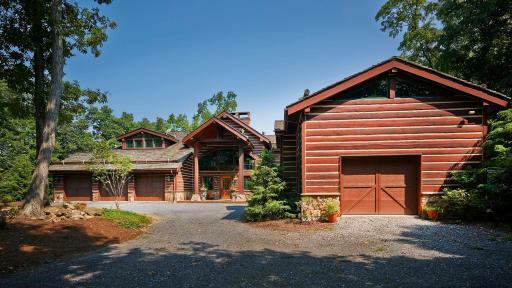 The home has the appearance and luxuriousness of a high-end ski resort. Details like granite and marble surfaces as well as chestnut finishes throughout give it a rustic elegance. The flooring is made from chestnut planks reclaimed from three separate barns built in the 1800s and originally cut from trees nearly a hundred years old themselves. The heart of the home is most certainly the monumental, resort-style chimney. It offers a hearth on every floor, as well as beautiful imported stonework with lichen detailing normally found only in the forests of Montana. The estate also offers two complete kitchens and bars with top-of-the-line appliances, built-in beer taps and under cabinet humidor and more. A barrel-vaulted, temperature-controlled wine cellar provides storage of your favorite vintages, while a recreation room is perfect for catching Nittany Lions games. An exquisite master suite plus additional bedrooms and separate guest house, offer the ultimate comfort and privacy. Penn State, the lifeblood of Central Pennsylvania, boasts an alumni association of more than 600,000 living members — more than any other university in the world. The university is also the center of local culture, providing an arboretum, golf course, performing arts venues, art galleries, and six museums. Much of college life is lived downtown at the locally-owned restaurants, pubs, and shops. The home is just minutes from private and commercial airports, historic buildings, shopping, dining and more. With culturally significant cities like Baltimore, Philadelphia and Pittsburgh nearby, Quail Hollow is the perfect weekend retreat from the hustle and bustle of city life.